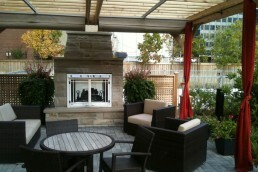 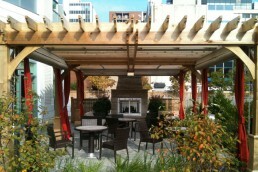 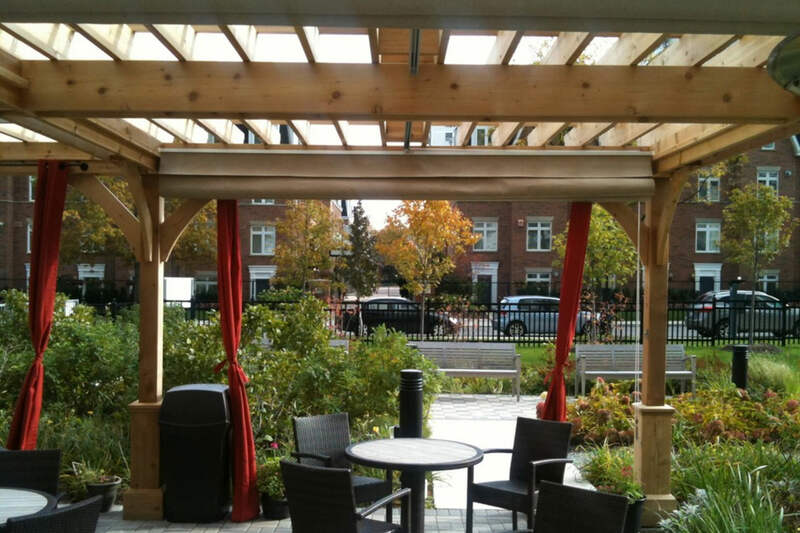 This pergola has 4 separate patio cover canopies covering a large outdoor living space at an ‘un-retirement’ community in uptown Toronto. The Dunfield Residences is located near Yonge and Eglinton, and the shade pergola completes a rare and luxurious backyard at this high-rise among high-rises. 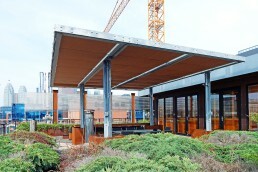 Each canopy is 12 feet long by 8 feet wide, so there is a limit to the amount of rain protection provided. 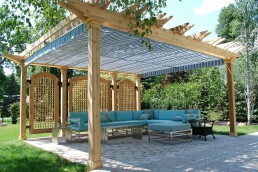 If rain protection were a higher priority, the canopies would be tilted so the drip lines run around the outside perimeter of the pergola. 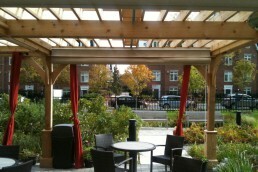 As they are, the installations are flat, so drip lines are on both sides of each canopy. 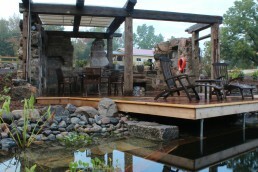 If you look carefully you can see one of the rope drive loops on one of the posts. Because you can specify the rope exit from our drive beams (left, right, or down), each of the four posts has a rope operator mounted to it. 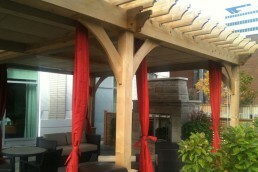 The curtains add that final touch to the style and comfort enjoyed under these canopies.